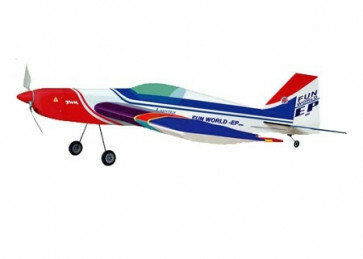 Aerobatic fun fly model fabricated with top quality balsa plywood and covered with genuine heat shrink World Models LighTex covering. Strong wood structure and tough covering enhance capability for further power upgrades. Large control surfaces enable extreme 3D moves. Plug in wings for easy trip home. Comes with geared brushless outrunner motor and propeller. Wing Area : 421 sq in / 27.2 sq dm. 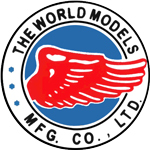 Flying weight : 25.4 oz / 720 g.
Fuselage Length : 39.5 in / 1000 mm.